A meme machine of hate is behind several viral hoaxes. 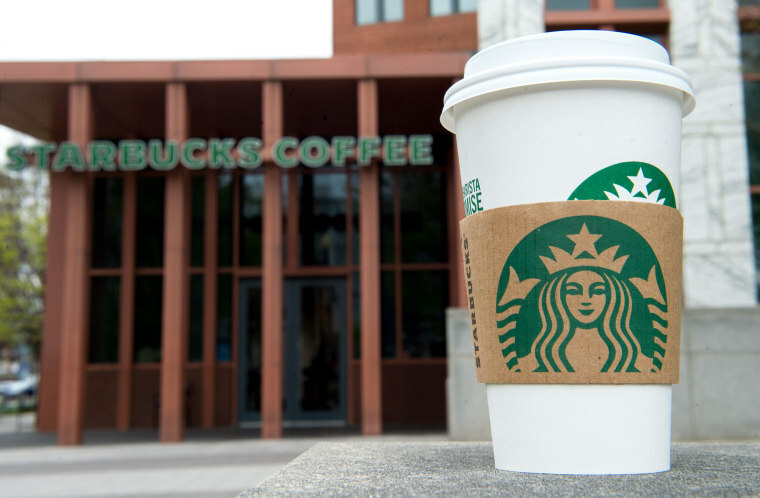 A fake Starbucks coupon offering free coffee to “people of color only” to say “we’re sorry” is the latest salvo in an ongoing meme warfare campaign that exploits trending news topics to spread messages of hate and divisiveness from the fringes into the mainstream consciousness. The counterfeit coffee coupon, created to further stoke outrage after two black men were arrested in a Philadelphia Starbucks for trespassing, purported to start a “dialogue” to address racial bias. Its origins are more insidious. Like-minded members replied back with hoots of laughter, racist and homophobic slurs, and offered design tweaks to make the offer look more official, such as applying the Starbucks corporate font or optimizing the coupon for display on mobile. “To be credible, it needs one of those things for mobile phones,” one poster said. Another obliged, posting a QR code that translated to the n-word. Fans flooded her social media with racist comments and GIFS professing outrage over the #FreeBlackCoffee offer, while critics identified the coupon as a hoax. By Thursday, the coupon had inspired dozens of fact checks, news articles and think pieces in outlets like Snopes, The Washington Post and USA Today. The video drew over 200,000 views and was amplified by right-wing and conspiracy sites. In a later interview with Fox News host Laura Ingraham, Sharpe said he pretended to follow a “liberal narrative” of “making blacks looks like victims” in order to get on the news. “And voila, here I am,” he said. While some labeled the racist campaign a failure, the outsize reaction had already proven Operation Mermaid’s success. On Gab, the Twitter alternative favored by white supremacists, users celebrated the fake coupon’s coverage. Gab even left its own echo chamber to post an update on its Twitter account, where it would be seen by the masses. “We have the media fact-checking obvious memes, thus spreading them even further. What a glorious time to be alive,” the Gab account tweeted. It’s not the first time Starbucks has been the target of meme-makers — after the company denounced President Donald Trump’s plan to end the controversial Deferred Action for Childhood Arrivals program last year, a 4chan user created fliers for a scam “Dreamer Day” promotion, offering 40 percent off beverages for undocumented immigrants. In another example, users planted posts on a 4chan message board in February in an attempt to trick reporters into linking the shooter from Marjory Stoneman Douglas High School in Parkland, Florida, with the Republic of Florida, a fringe white supremacist group with fewer than a dozen members that struggled for wider recognition. The scheme worked, with outlets like ABC News and The Associated Press writing stories that included the false connection. Jeff Giesea, an information warfare expert who supported Trump, said the trolls can be thought of as “guerilla soldiers of the information environment” practicing “asymmetric activism” to express their perspective, as well as delight in the “lulz” from provoking predictable outrage from the left and mainstream media — ginning up more amplification and coverage in the process. Because the memes start on anonymous message boards and then progress to high-traffic link-sharing sites like Reddit and Twitter that allow for anonymous users and are often the breeding ground for trending social media topics, it’s usually impossible to unmask the originators or their motives. Whoever it began with, Starbucks is clear that it wasn’t anyone from the company. “This is completely false and in no way associated with Starbucks,” a representative from Starbucks wrote in a statement to NBC News. Hate groups will “do anything inflammatory online or offline to generate media coverage, because it’s a way to draw attention from the broader population of racists that they can currently reach with their websites,” said Keegan Hankes, a senior intelligence analyst at the Southern Poverty Law Center, which monitors hate groups. Hankes likened the coupon incident to a common white supremacist tactic of stuffing racist fliers into library books or, more recently, putting “It's OK to be white!” cards into boxes of diapers at Target. While trolls may insist their efforts are purely for comic effect, Hankes offered a more insidious motivation. By Thursday, as the viral coupon hoax came to its natural conclusion, another seemed ready to be born.